Attorney Mike Keating was interviewed by a reporter from the Chicago's Tribune's RedEye newspaper regarding traffic stops conducted by Chicago police. The article focused on a recent study the University of Illinois-Chicago regarding the frequency with which minorities who are pulled over for a traffic violation are ultimately ticketed. The results of the study were very interesting. The study found that in Illinois minorities are generally ticketed more often than other drivers after being pulled over. However, Chicago Police Department officers were more even handed and tickets drivers of all races more evenly. You can read the article in its entirety by clicking here. One group that has found itself the subject of targeted efforts by the Chicago Police Department, however, are bicyclists. 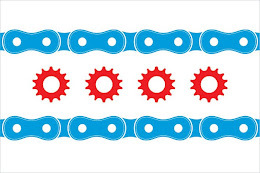 As detailed in an earlier post on www.ILBicycleLaw.com, bicylists in the City of Chicago may be stopped by the police very easily based on an obscure section of the Chicago Municipal Code. Last month bicyclists in Chicago's Loop were targeted for a variety of infractions.